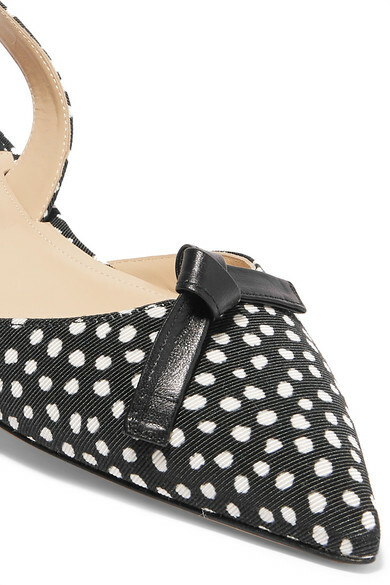 Paul Andrew's 'Rhea' shoes have become such an iconic part of the designer's repertoire. 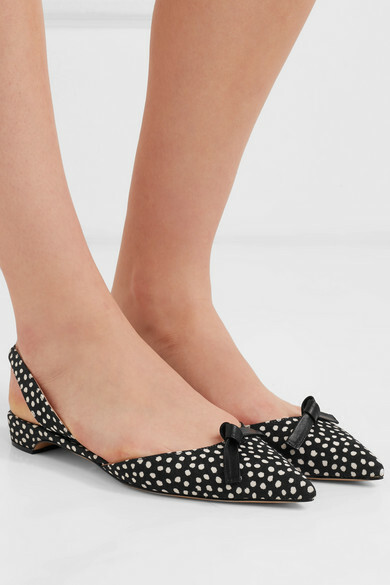 What's lovely about these flats is that they share the elegance of the heeled version thanks to the pointed toe and slingback strap, but they're more suited to long days when you're going to be on your feet for hours at a time. 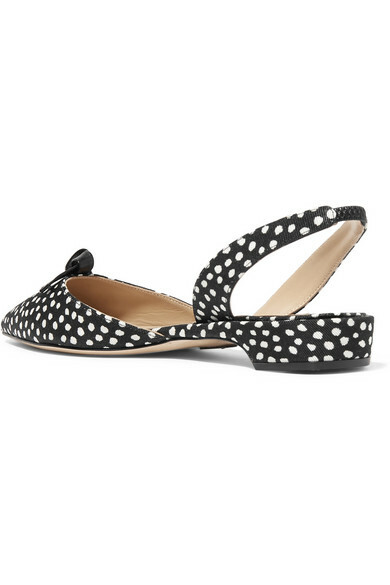 The monochrome polka-dot grosgrain will look great with everything too. Shown here with: Bella Freud Blazer, Bella Freud Skirt, BY FAR Shoulder Bag, Wolford Bodysuit, Paola Vilas Ring, Leigh Miller Earrings.